So I needed a break from painting vehicles, and what better than a nice little character model. Having so many vehicles in the army, a Techmarine was a perfect choice. I wanted to use the Forge World MkIII body, but didn’t like the bare head so chose the helmet from the MkIV version. With my army based on Clan Morragul, the veterans in the artwork are shown with right arms painted red. 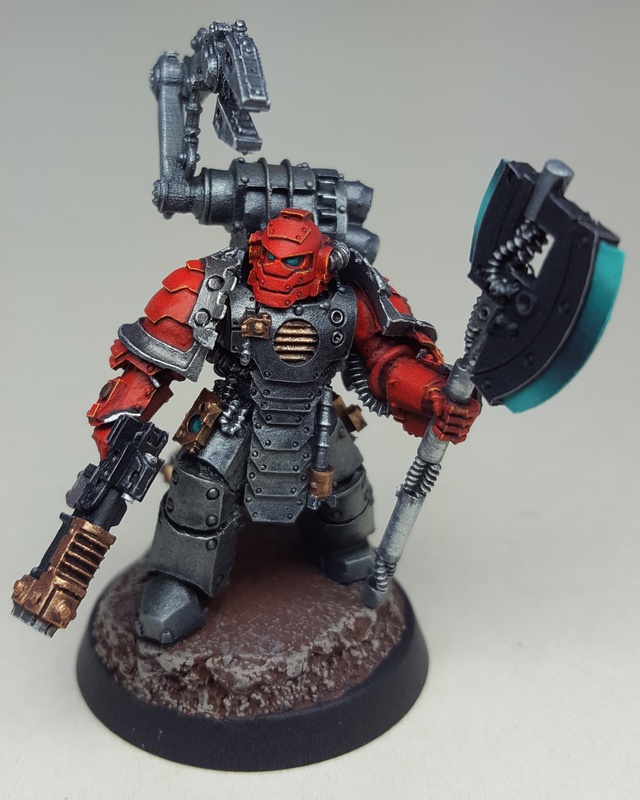 I expanded on this for the Techmarine going with two red arms and helmet, my thinking that this is the basis of the 40k Techmarine colouring. Previous Previous post: Legion Damocles Command Rhino. Next Next post: Iron Hands Iron Father.